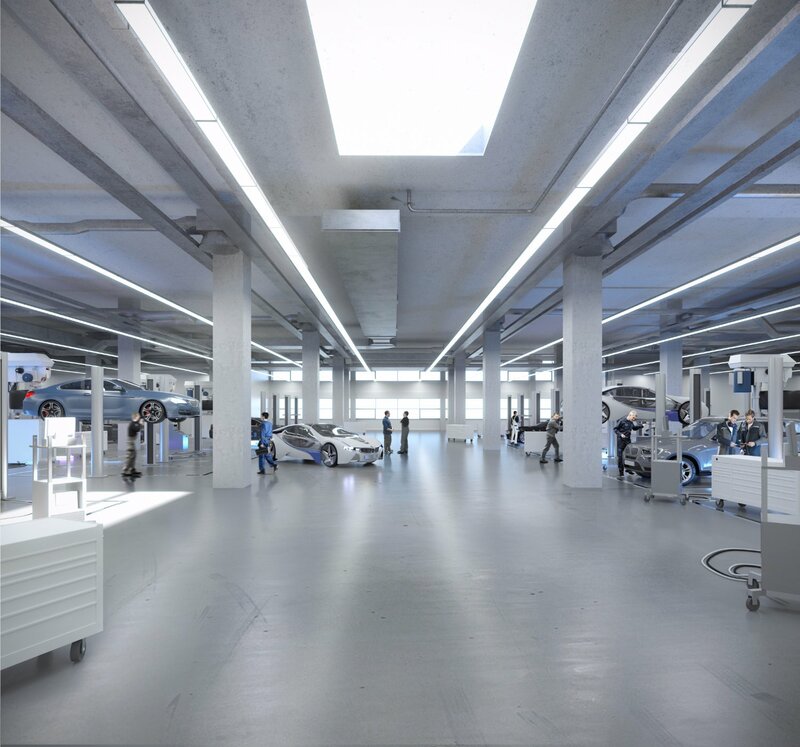 The BMW Group is embarking on an extensive expansion of its FIZ Research and Innovation Centre in the north of Munich. The “FIZ Future” masterplan, which was developed as part of an urban development competition, will expand the development centre by around 50 per cent by 2050. The BMW Group will invest around 400 million euros in the first phase of construction, which will create a viable infrastructure for developing tomorrow’s mobility. Bavarian Prime Minister Horst Seehofer, Mayor of Munich Dieter Reiter and Harald Krüger, Chairman of the Board of Management of BMW AG, launched the construction project today in the Milbertshofen district of Munich. In an official ceremony, the foundation was laid for a building complex with a total floor area of 157,000 m2. From 2019 on, around 5,000 employees will work here in innovative open-plan workspaces, developing hardware and software for the company’s future vehicles. 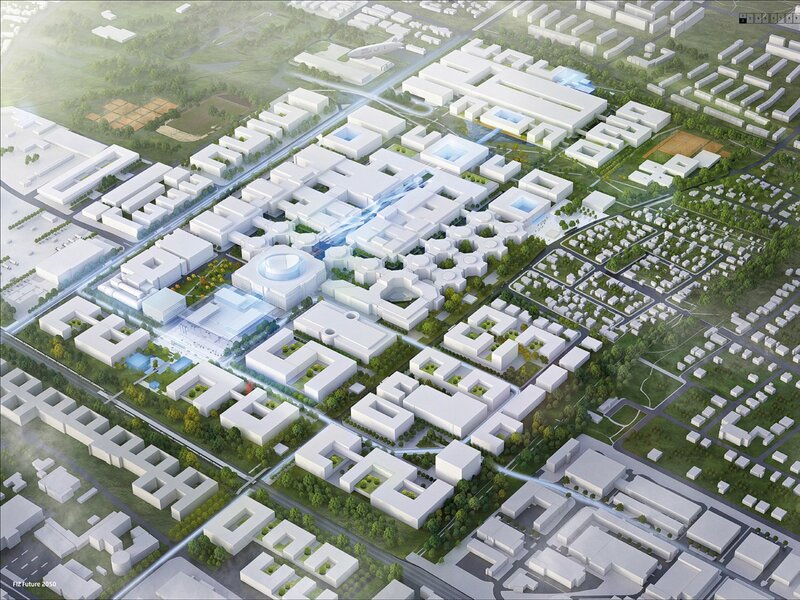 As part of its Strategy NUMBER ONE > NEXT, the BMW Group and its FIZ Future programme aim to create a framework for the long-term development of its Research and Innovation Centre in the north of Munich. With around 26,000 workspaces and approx. 1 million m2 net floor space, the development centre is already the BMW Group’s largest location. In several stages, the expansion will create workspaces for another 15,000 employees by 2050. The aim is not just to create space, but, more importantly, to provide the right conditions for working in the future. Technological changes, driven by digitalisation and connectivity, demand agile team structures, quick decisions and immediate implementation. That is why the new buildings will primarily offer open, flexible spaces where staff members can meet, discuss and implement their ideas quickly – for example, by testing new software for a vehicle prototype in a workshop just a few steps away and seeing the results immediately. The FIZ expansion and remodelling is therefore not only an investment in the future competitiveness of the company, it is also an investment in attractive state-of-the-art workplaces. In the urban development competition, organised in September 2014 in close collaboration with the Department of Planning and Building Regulations of the City of Munich, it was the proposal of the architectural firm HENN that impressed the most. On this basis – and with regular involvement of the people living in the north of Munich – a FIZ Future masterplan was developed and approved by Munich City Council in July 2016 as the basis for the expansion. Following today’s start of construction, other administrative, research and workshop facilities will be created over the medium and long term, as well as test benches and design studios.